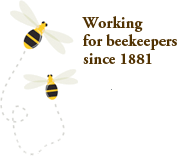 Although the entire OBA site is relevant to any beekeeper, this section will ensure that key industry information and resources specific to commercial beekeepers is easily accessible. Industry Contacts and Links: links to key government, industry associations, and research bodies. Industry Information: current information and reports on the industry. Business Resources: practical tools for managing your beekeeping business.